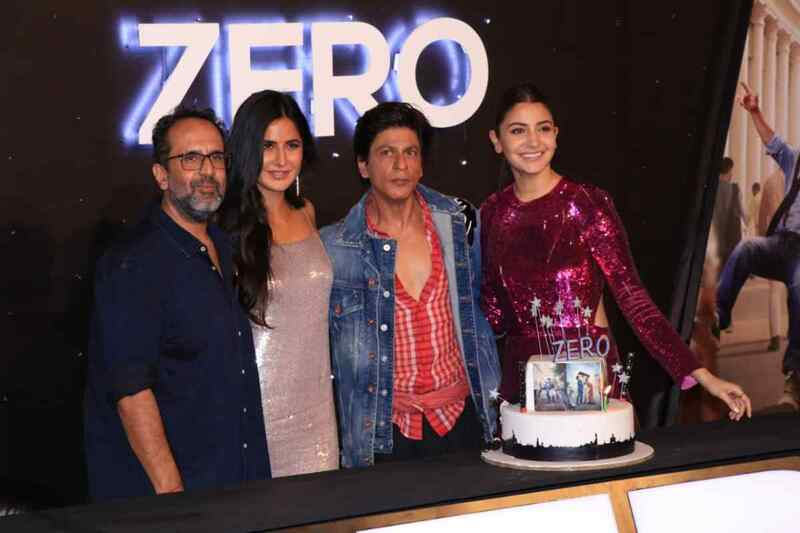 It seems that the wait was well worth it because the trailer of the highly anticipated film Zero, starring Shah Rukh Khan, Anushka Sharma and Katrina Kaif is finally out and it is brilliant. Directed by Aanand L Rai, the film looks to be something special with SRK playing a vertically challenged man, Bauua Singh, Katrina playing a superstar and Anushka playing a girl with cerebral palsy. Fans can hardly contain their excitement to see how this story will play out on the big screen. Since it must be seen and we know you can’t wait we say check out the incredible and intriguing Zero Trailer! They held a special launch of the trailer at IMAX Wadala, in Mumbai. Not only that team Zero also celebrated Shah Rukh Khan’s 53rd birthday, making it even more special for his fans across the world. Check out these cool pics from the launch! A celebration of life, Red Chillies Entertainment and Colour Yellow Production will be bringing Zero, in cinemas on 21st December 2018. Is is December 21st yet?????? 15 queries in 1.103 seconds.